General guide for Referencing and avoiding plagiarism: What is Citing? 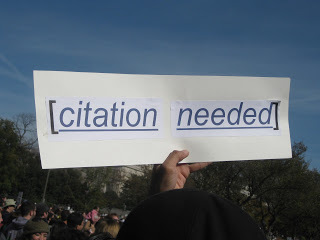 Often you are told to cite and have no idea of what this means. Basically citing means to reference or acknowledge the source of the idea or quotation. One an intext citation where you place an abbreviated mark/reference at the place within the body of the assighment or essay for the source reference and then create a full text reference at the back of the assighment or essay. Journal Article (Print version) (Geach, 2011) Geach, J. E. (2011) The lost galaxies. Scientific America, 304 (5), pp.30-37. Berger, L & Boritz, J.E. (2012) Accounting students' sensitivity to attributes of information integrity. Issues in Accounting Education, 27 (4), pp. 867-893. Available at: Business Source Premier, [Accessed 24 September 2014]. "I haven't got the slightest idea how to change people, but I still keep a long list of prospective candidates just in case I should ever figure it out" (Sedaris, 1997, p. 215). Sedaris (1997) writes, "I haven't got the slightest idea how to change people, but I still keep a long list of prospective candidates just in case I should ever figure it out" (p. 215). "I haven't got the slightest idea how to change people, but I still keep a long list of prospective candidates just in case I should ever figure it out," writes Sedaris (1997, p. 215). "I haven't got the slightest idea how to change people," writes Sedaris (1997), "but I still keep a long list of prospective candidates just in case I should ever figure it out" (p. 215).